Leadsun uses new-generation Lithium LiFeP04 batteries which offers 3 times more storage and power capacity versus conventional Lead Acid batteries. Our battery design uniquely features many ‘small’ lithium iron battery’s packed into a ‘dual’ battery assembly that minimises stress and heat during both discharging and charging cycles ensuring long term reliability. Lithium Iron batteries are also able to discharge to an incredible 90% without any damage to them before the under voltage battery protection ‘cuts out’ any further operation. Built tough to withstand the harshest and most extreme environments Leadsun’s lithium battery’s and smart protection features are up for the challenge; Our lithium battery’s are able to work in extreme heat of up to 65 degree celsius & some products can even have an optional thermal heating module added to keep the lights operating in sub freezing conditions as low as -40 degrees. Additionally, Our newly designed battery packs offer multi-protection technology that allows the ‘individual’ battery’s to work normally even in the unlikely event that some battery’s become damaged. 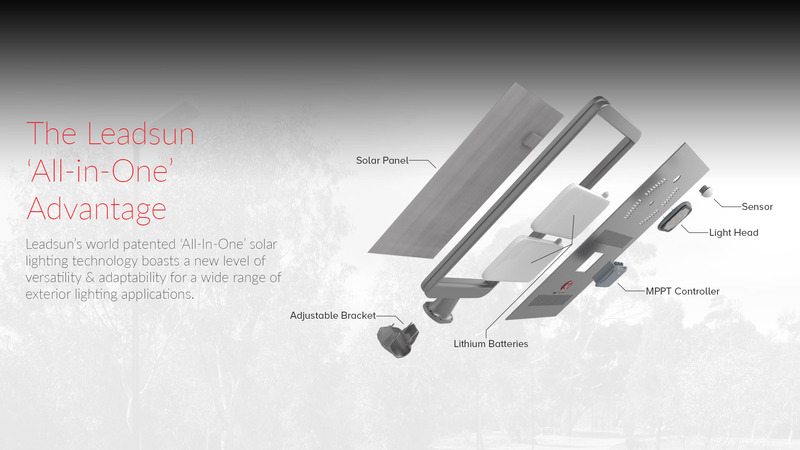 Leadsun’s entire range offers a break-through and valuable function in ‘remotely’ operating and monitoring the performance of each system; It uses a range of wireless connection technology’s such as Bluetooth or WiFi to securely ‘log-on’ to each solar light. Additionally, Leadsun has incorporated the latest in ‘mesh’ networking to provide our systems with ‘linkable’ communication between each solar light system that can be accessed remotely via GPRS or 433 technology. 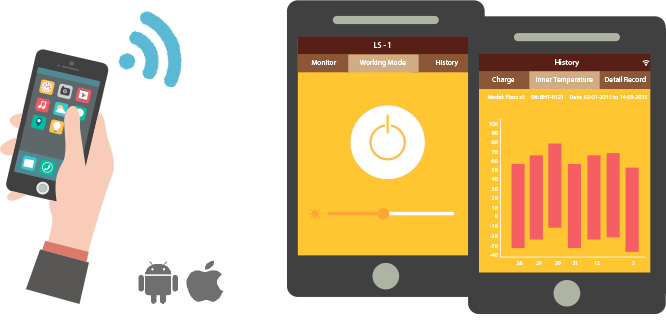 Leadsun has developed its own smartphone ‘end user’ App available to download from either the iPhone or Android app stores that will provide our customers with the ability to individually communicate with each solar light. 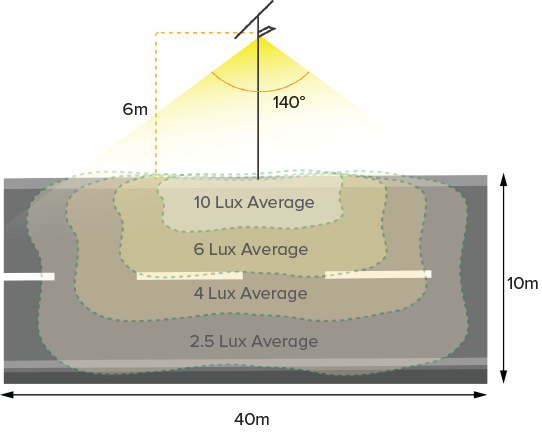 Once the smartphone and Leadsun solar light are ‘paired’, the user is able to check the real time and historical system performance as well as alter the LED brightness, or change the ‘built-in’ lighting operation modes to suit specific applications. Leadsun utilises a world leading ‘mesh’ networking technology which allows all the solar lights within a single installation to wirelessly communicate with each other via a daisy chain sequence over long distances; For a low monthly fee which includes a GPRS cellular network connection, we are able to remotely offer our customers historical and real time performance monitoring as well as the flexibility to change the lighting operating profiles or LED brightness of the solar lights. AIR-LINK can also be accessed on-site via a laptop computer and a wireless communication device. 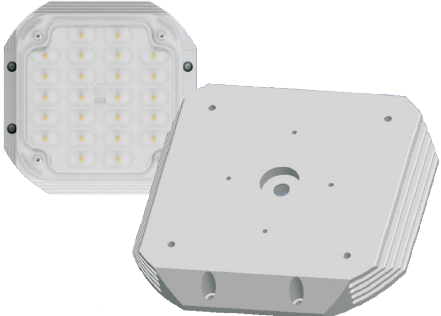 Our updated design utilises a new CNC production technique and is fabricated from aluminium extrusion which significantly improves LED thermal heat dissipation by up to 115%, this in turn improves the longevity of the LED’s promising more long term system reliability. 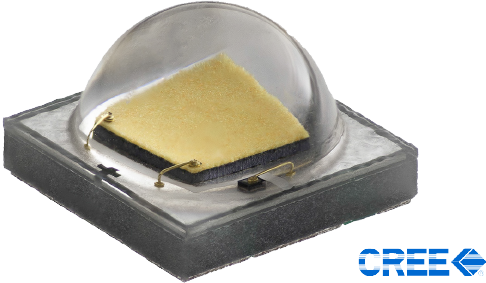 Our range of LED light heads adopt ‘CREE’ LED chips which provide industry leading ‘bright & crisp’ illumination for 50,000 hours and beyond. The chips are highly efficient and powerful enough to meet the most demanding design requirements while offering superior illumination for a wide range of applications. Leadsun in development with Cree have created a new LED lens that provides greater luminous uniformity and offers the ultimate in design flexibility. 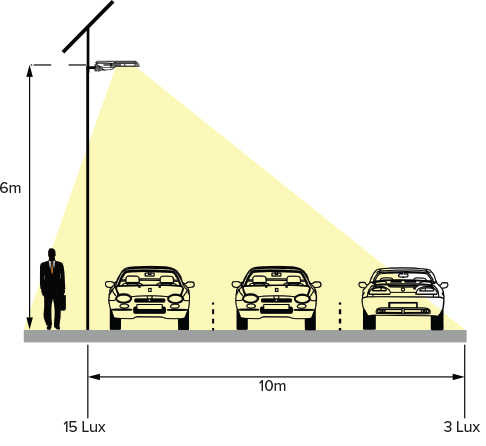 The beam pattern is perfect for laneways, pedestrian promenades, bicycle paths as well as minor roads andCarparks. As an added service, Leadsun also has its own internal lighting design team that use the latest in Lighting Simulation software for projects requiring calculation of lighting levels and photo-metric reports. This will ensure that the correct quantity of fittings, pole heights and spacings are offered for our customers specific needs. Smart-Eye is a important safety enhancing feature that adopts the latestPanasonic passive-Infrared motion sensor technology, it detects movement within several metres of the unit and automatically regulates the output ofthe LED lamp from a ‘dim mode’ to ‘full-brightness’ depending upon whether motion is detected; This smart feature preserves battery power as well as increases passive security around the lights. Leadsun manufacturers the worlds most technically innovative range of solar-powered LED lighting & power solutions and is renowned for its diverse product range which suit a wide range of applications. Our Green Friendly products has revolutionised the industry by offering unrivalled build quality and leading technology that has been proven to perform reliably in the world’s harshest conditions.